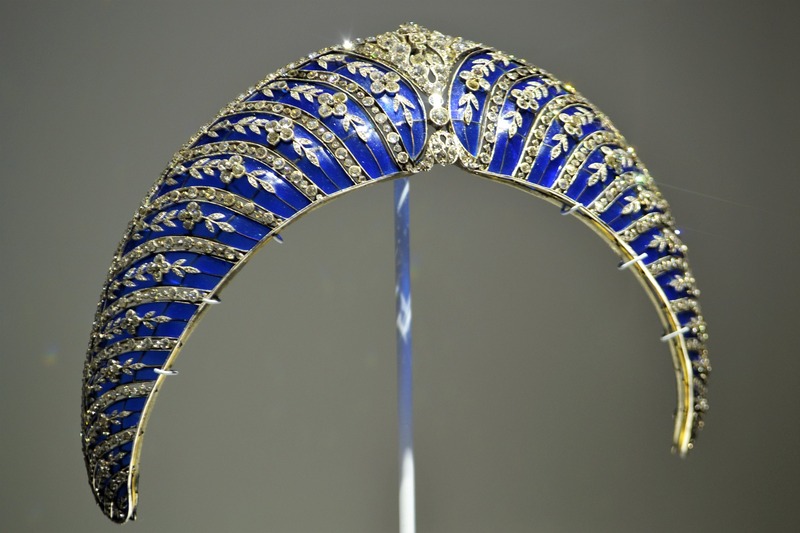 The Belle Époque diamond tiara produced by Christie’s is to be sold at its London summer auction on June 13. It belonged to the crown princess of Yugoslavia. Other items included are a late 19th-century emerald and diamond tiara, pieces from Belperron, Van Cleef & Arpels, and David Webb. “The platinum headpiece, which dates back to 1905, is from the collection of the princes of Orléans Braganza and features old pear-shaped and rose-cut diamonds, the auction house said. It carries an estimate of $186,900 to $280,350.